The weather is finally breaking in Northern Michigan, and this weekend would be a good one to get out for your first annual spring outing. By some accounts, the morel mushroom picking season is in high gear, along with trout season. 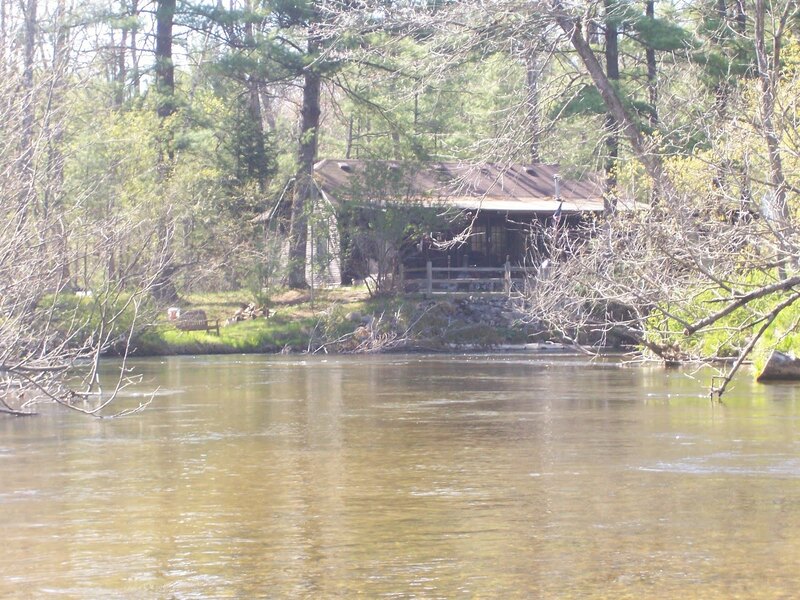 A good way to experience a spring weekend is by paddling one of Michigan’s rivers. The big crowds of summer have yet to hit the rivers, and you’ll have the river mostly to yourself. Paddling in Michigan, especially those from metro Detroit, often means the Au Sable or Rifle rivers. I’m suggesting trying the Pere Marquette at Baldwin in western Michigan. Baldwin is only about three and a half hours from the Detroit area and about one and a half hours north of Grand Rapids. The Pere Marquette is a National Scenic River, and has much to offer, especially first time paddlers. The river takes little skill to negotiate and is fairly shallow. There are deep holes, so watch where you step. There are occasional downed trees, sweepers, across the river, but because it is heavily used by fly-anglers in drift boats, there is usually water passage around the tree. 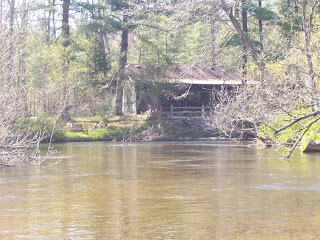 I recently spent three days padding the river, doing research for A Paddling Guide to Michigan, which will be published in the spring of 2011 by The Countryman Press. To me, the Pere Marquette is what I call “a first river,” a river where you can take a family or friend for the first time and have a good time paddling without struggling. Make sure to bring a change of clothing in plastic bags. That should include a rain parka, hat, and a fleece jacket. Bring plenty of water. I know that beer drinking while paddling is a Michigan tradition, but you can get awfully dehydrated from the sun, even this time of year. Bring your cell phone, but buy a water proof bag for it and your camera. You can find them at sporting goods stores, usually for less than $15. If you’re the type of person who is tied to their electronic device, take note that you’re often without service. This is especially true on the lower part of the river where you’re surrounded by high river banks. If you’re desperate, climb to the top of a bank, and you’ll usually have service. Make sure somebody knows your itinerary, in case of emergency. Don’t schedule too long of a trip. The paddling times for the river from takeout point to take out point are fairly accurate for one constantly paddling at a moderate rate. Since I fly-fish along the way, I usually figure a four hour trip will take me from six to eight hours. Figure in what you plan to do along the way when scheduling. If you have your own boat, this is a good river to use it. The Huron-Manistee Forest Service requires rental canoes only to be on the river from 9 a.m. – 6 p.m. A car spotting service is located at the Pere Marquette Lodge on M-37 at the bridge over the river. The cost is $25, and they will pick up your vehicle where you put into the river and take it to the landing where you’re planning to get out. Bringing an extra set of keys is helpful. There is one other cost – a Forest Service user permit, the cost $30. It’s required when you park your vehicle. For more information, contact: Baldwin Canoe Rental, 800-272-3642, Ivan’s Campground and Canoe Rental, 231-745-3361 or the Pere Marquette Lodge, 231-745-3972, 8841 S. M-37. very nice intro 'How-to' article! Keep up the Great Work.